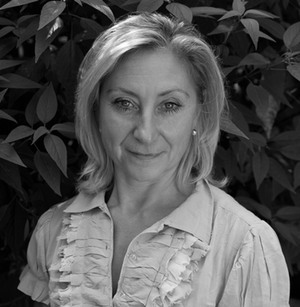 Emma has worked in the landscape design industry for over 30 years including working both for architectural and design and build firms and for over 20 years she was Practice Director for Arabella Lennox-Boyd. She has overseen commercial and domestic landscape projects ranging from a half acre roof garden in the City of London and three Chelsea Flower Show gardens to many large private and commercial landscapes in Britain, Europe, Russia and America. Emma’s technical and organisational skills have proved invaluable in managing projects in both the public and private sectors, including experience in dealing with various authorities and development corporations. Emma studied Landscape Architecture at Leeds Metropolitan University, obtaining BA (Hons) and Dip LA. She is also a fully qualified member of the Landscape Institute and is a registered member of the Society of Garden Designers, and currently standing on Council as Treasurer. She has recently completed a three year term as an external examiner at Leeds Metropolitan University.